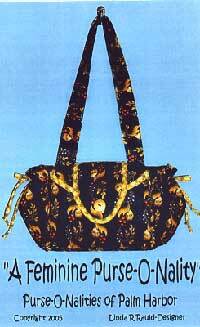 Purse pattern that has plenty of storage space and lots of pockets. There are 2 side ties and front flap instructions for this pattern. Finished size is 7" x 13" x 2 1/2".